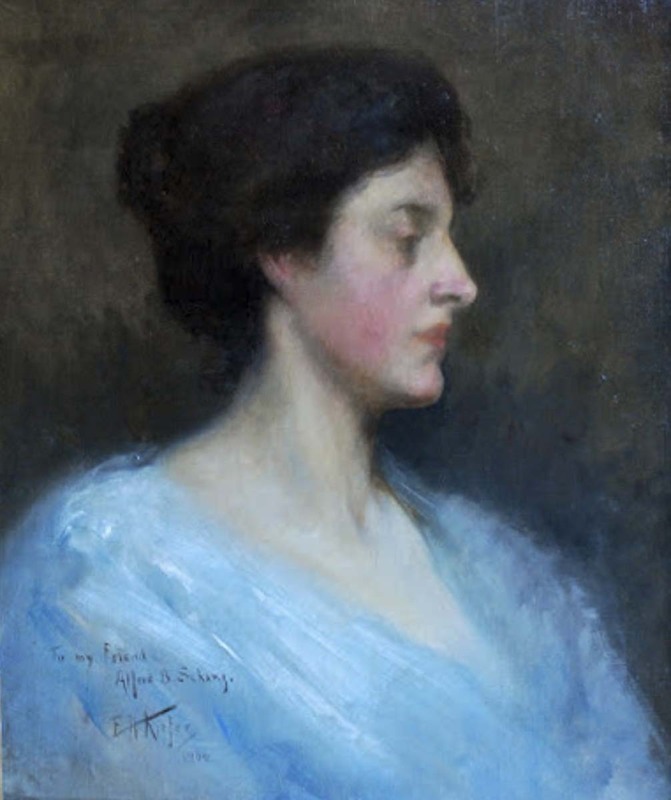 Edward H. Kiefer (1860-1931) o/c woman’s portrait. 22 x 18″. Academe Julian inscribed verso on canvas. 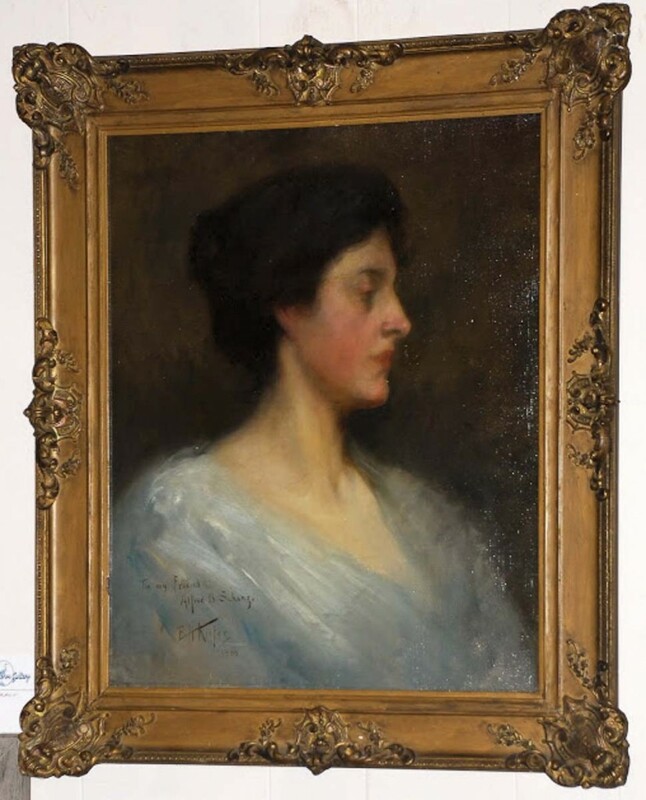 signed lower left to my friend Alfred B. Schanz see Painted Lady. E.H. Kiefer 1900, Original frame. A student of Constant and Laurens, Sargent’s teachers, you see much the same wondrous soft focus technique. A wealthy Gatsby type character, shipped off to Paris, Kiefer had immense talent. A perfect painting for the powder room. Kiefer was born in Port Huron, Michigan, the son of Dr. Hermam Kiefer, Detroit, and educated in the Detroit Public Schools, Berlin School of Design, and under Constant Cazin and Laurens. He was typical of many American artists who, around the turn of the 20th century, were disenchanted with artistic climate in the United States, and sought aspiration in Paris, France, then the art center of the world. There he enrolled as a student in Academie Julien. Kiefer was a very versatile artist, doing figures, landscapes, still lifes, and genre subjects with equal ability. He eventually became Chairman of the Board of the Port Huron Paper Company, and was an avid sailor, primarily of 30 Square Meters. He exhibited at the Detroit Institute of Arts, Chicago Art Institute, and the Paris Salon.